The National Bank of Ukraine (NBU) has authorized local authorities to place municipal bonds on the stock exchange on Free of Payment terms (FOP). The aforementioned amendments are approved by NBU Board resolution No. 70 on the approval of amendments to the regulation on the conduct of depository and clearing activities and ensuring the settlement under securities transactions by the National Bank of Ukraine dated June 25, 2018. The amendments are effective from June 26, 2018, the NBU said on its website. Previously, the regulation on the conduct of depository and clearing activities and ensuring the settlement under securities transactions by the National Bank of Ukraine regulating the NBU Depository's municipal bonds trading, prescribed placement of municipal bonds only over-the-counter. 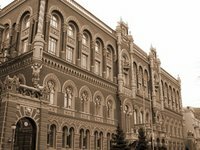 Thus, in order to improve accessibility of lending resources for local authorities, the NBU has amended the regulation and authorized the NBU Depository to transact such operations. First, the regulation defines the operating procedures for the NBU Depository, stock exchanges, issuers and depository institutions on placement of municipal bonds on the stock exchange. Second, it regulates the procedure for interaction between the NBU Depository and the stock exchange during the placement of municipal bonds on the stock exchange. Third, it amends the chart of balance sheet accounts and the list of depository entries, so that municipal bonds' placements can be reported in custodial accounting.